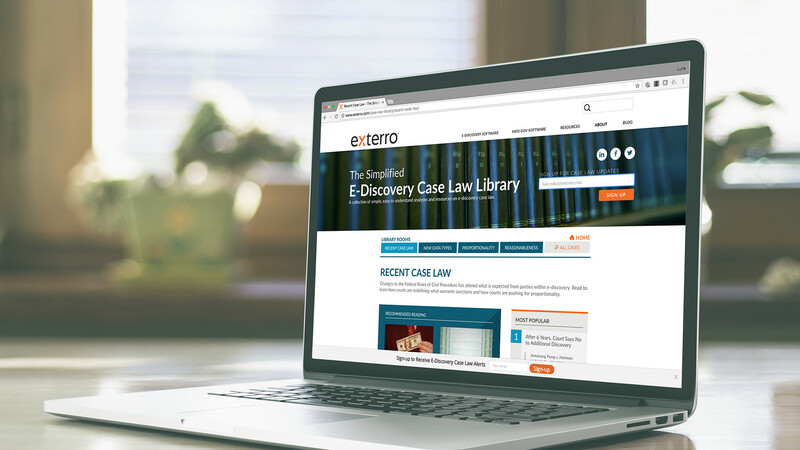 This microsite was designed to contain a comprehensive collection of case law summaries for recent and relevant e-discovery topics. 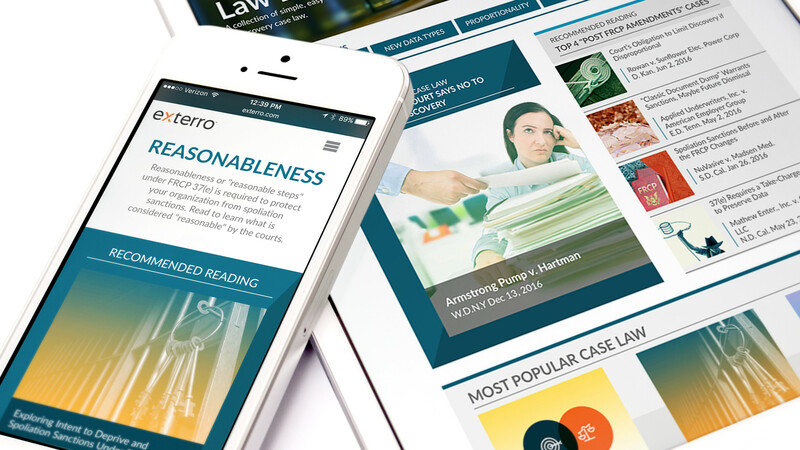 The approach was centered around essentials: legal professionals do a lot of reading. Let’s make case law faster to navigate, and easier to digest. The hope, borne out by positive reception by the legal community, was to engage both professionals as well as provide a useful tool for the next generation in law schools.